Google has just announced that they are hosting an archive of photos that have appeared in Life magazine. In particular, there are about 200 photos related to the Basques, many of sheepherders in the American West, as shown here. Actually, most of the photos are of sheepherders and sheepherding. Looking at the details of the archive a bit closer, many of these photos never appeared in Life magazine itself, they are from their archived of unpublished photos. Also, all of the photos I’ve found so far are black and white, suggesting they are not the more recent photos (or that Life doesn’t have any photos related to the Basques that are more recent). However, more searching does bring up other photos. 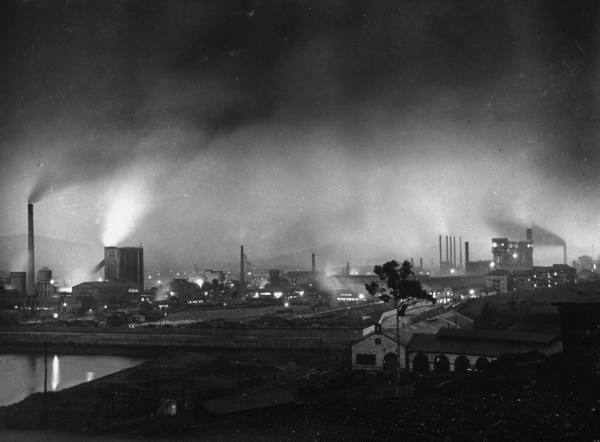 For example, a search on “Bilbao” brought up this photo (among others) showing the night sky with the smokestacks in the background. If anyone searches through the archive and finds any really interesting photos, please post the links here and share with the rest of us. I’m sure there are some real gems in there. I love pics.Would definitely view these pics.Thanx a lot for the links Buber.